What can a Man and Van in Rochdale do for you? When it comes to moving, never underestimate the abilities of a man and van in Rochdale. 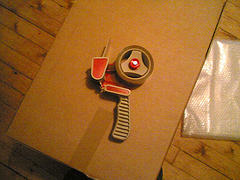 Moving can be stressful enough without having to deal with inept moving companies. Sometimes we try to move our belongings ourselves – quite often tiring ourselves and our families out! If you happen to need the services of a removal company, where can you go? In Rochdale, a man and van for your move can be provided by Littleborough Removals They can offer you more than just helping to move your personal effects from one location to the next. They recommend the helpful tips to make your moving experiencing easy and as stress-free as possible. You should try to dismantle your bed and furniture if possible. This will make it easier to move around the house and pick up items. Next, place all packed boxes and cartons near the entrance of the home. If your move is local, do not defrost the fridge. Let it keep running until you are ready to move. You do not have pack your clothes and can leave them in the drawers. Only breakable items should be properly packed. Any items that are fragile, delicate, or really small should be carried with you. Leaving them in the drawer is not a good idea as sometimes the drawers can get inverted and items may fall out. Next, try to ensure that all vehicles are removed from the area where the truck will be loading and unloading. This is important because the removal company’s time commences from the time they arrive at your home. Lastly, try to ensure that children and pets are staying at a friend or relative’s place for the duration of the removal. This will ensure their safety and expedite the removal. If you are looking for a removal company that offers you more than just a man and a van in Rochdale, then contact Littleborough Removals today. You can also speak to them for a free estimate. This entry was posted in Removal Company and tagged Man and Van in Rochdale, Rochdale Man and Van. Bookmark the permalink.